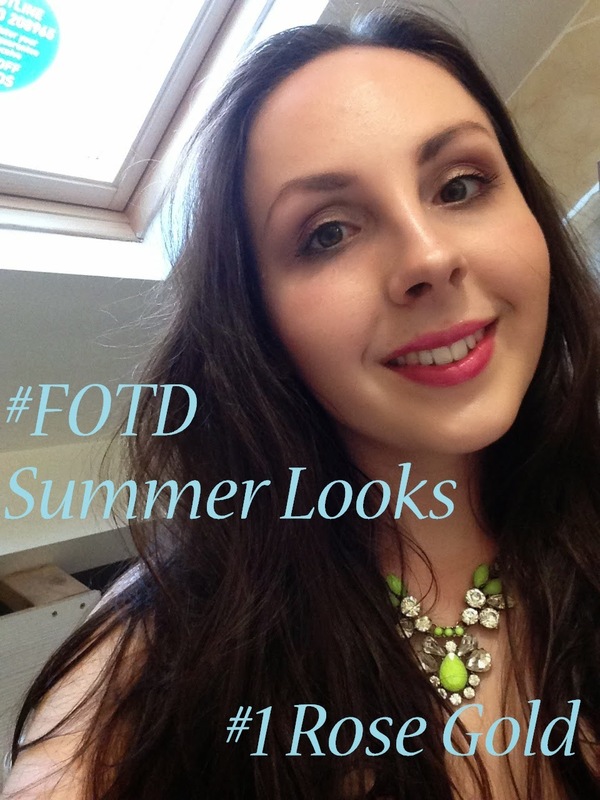 For my face of the day, I was playing around with some of my products to create some summer holiday looks. As I'm going to Zante at the end of July, I want to create a bank of fail-safe summer looks. I'll be able to plan the products I'm taking, as well as minimise the time spent doing my makeup, meaning more time for cocktails! For the eyes, I took the NARS Soft Touch Shadow Pencil in Skorpios (£18.50), and applied it over the whole lid. I then blended with a fluffy brush, and took the Makeup Revolution Iconic 3 palette (£4), which is a dupe for the Urban Decay Naked 3, and applied the darker shimmery pin over the inner 1/2 of the lid. I then went for the gold over the outer 1/3/. I added more of Skorpios over the lid, then repeated the pink and gold. I finished the look off with a deep brown shade from the MUA Undressed palette (another amazing Urban Decay dupe) and took this under my lower lash line and used it to roughly define my top lash line. I used a white eyeliner on the waterline and added a few coats of the Benefit They're Real Mascara (£19.50). To finish off the look, I wanted a bright, tropical shade for the lips. I went for one of the NYX Mega Shine Lip Glosses in Dolly Pink (£4,50). I'm not the hugest lipgloss lover, but this range is gorgeous. They are smooth to apply and highly pigmented, and also taste like cherry bakewells! I think the blue-toned pink is really flattering, and an easy way to add a pop of colour in the summer. I really like how this look turned out, and I think it will be brilliant with a tan (not that I ever get one). The rose gold eye is definitely a look that I will be attempting to replicate, and I want to play around a little bit more with the Makeup Revolution Iconic 3 palette. The Urban Decay palettes are quite expensive on a student budget, and this is a great way to test the waters with a different range of shades. I never would have said that the pinks would be my cup of tea, but I'd rather waste £4 than £40! What's your fave holiday look?